Tri House is a modern detached single storey office building of brick construction with a hipped span tile covered roof, powder coated metal frame double glazed windows and uPVC rainwater goods. The accommodation comprises a suite on the left hand side of the main entrance. The accommodation has been partitioned to provide 3 rooms together with two separate WCs (including a disabled facility), a kitchen and a cleaners’ cupboard. Internal finishes are suspended acoustic tile ceiling with recess fluorescent lights and air handling units. There is a raised floor with under floor trunking. An impressive two storey detached modern office building of brick construction with a pitched and hip tiled roof. The property incorporates a double height glazed corner reception area and has the benefit of powder coated metal windows and doors. Internal features includes carpeted raised access floors, suspended ceilings with recessed lighting and an 8 person passenger lift. Heating is provided by way of gas fired panelled radiators. The property comes with 12 allocated parking spaces. The building provides unique and attractive office space over ground and first floors within a prestigious Grade II Listed building. The current space available is in the former board room comprising solid hard wood floors, wooden panelling and ornate coving, architrave and stained glass windows. Specification within the rent includes – Key fob, intercom & electronic door entry system, Electricity, gas & central heating, water & drainage. Repairs & maintenance, cleaning, shared kitchen & toilet facilities. Buildings insurance. Floor mounted trunking with data cabling and power points. PIR motion sensor lighting. On-site facilities management. In a prominent Grade II Listing building. The suite has the benefit of carpeted floor, strip florescent lighting and has its own WC. 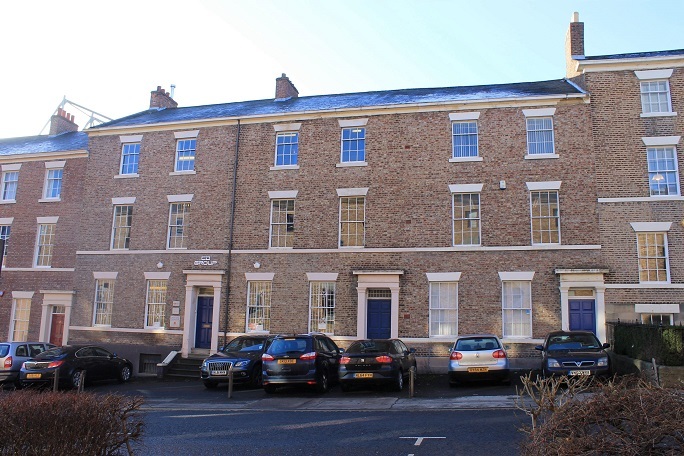 Excellent location in Newcastle city centre in Grainger Town on the edge of China Town. Situated within an attractive Grade II Listed Building. Rents available from £7.50 per sq ft. The office has a kitchenette, WC facilities and is heated via a “district” biomass woodchip under floor heating system. There is an additional service charge payable estimated at £2,855 per annum + VAT and Heat Charge £1,300 + VAT per annum. The office can be let as a single unit or alternatively on a room by room basis – with the kitchen and WC facilities being shared. Asking rent of £10.50 per sq ft + VAT (inclusive of service charge). 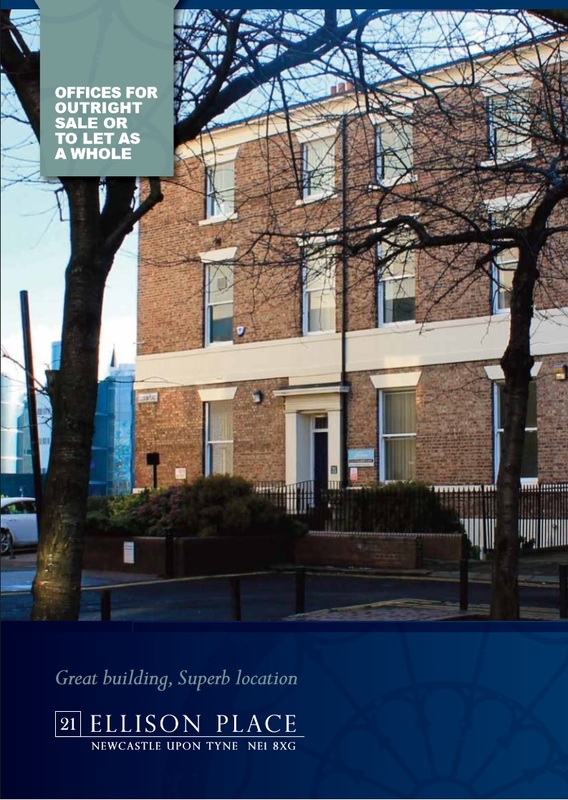 The property provides self-contained, first and second floor office accommodation accessed from its own entrance on Gosforth High Street. The property has retained a number of original period features but also benefits from new uPVC double glazed windows and a gas central heating system. The property includes a small kitchen and WC facilities. An impressive two storey mid terraced modern office building of brick and part timber clad walls with powder coated metal windows and doors. The property has the benefit of an intercom door entry system, perimeter trunking and gas fired central heating via radiators. Air conditioned & IT cabling insitu. Fully self-contained with WC, staff & storage accommodation. The business centre comprises 75 office units over 2 floors offering ideal space for both start up and small businesses. There is a shared reception at the entrance of the building where staff monitors a central switchboard for all units. There are shared toilet and kitchen facilities throughout. Part of the centre is fully accessible to wheelchair users. 24/7 Access, fully alarmed. On-site parking. Monthly Charge includes rent, rates and bills. The suite is undergoing re-decoration and has the benefit of a WC. On-street parking is available to the front of the property. A self-contained office building comprising a range of individual single storey offices with a two storey feature entrance around a communal landscaped courtyard. All office suites benefit from carpeted concrete floors, plaster and paint wall finishes, fluorescent strip lighting and central heating by way of wall mounted radiators. There is a secure entry phone system attached to all suites. We are instructed to seek offers in excess of £900,000 (exclusive of VAT). A purchase at this level would reflect a low capital value of approximately £54.99 psf. The 1st floor provides self-contained office accommodation within a period/listed building. The ground floor lobby is shared with the occupier of The Dance Studio. Access to the lobby and to the first floor is off Grangemoor Road immediately to the left of the Co-op convenience store.